We live in a world where we are constantly being bombarded with content. When you access the vast majority of websites on the internet, you’ll find a tonne of advertisement content everywhere you go, whether it’s in the banner at the top, within the content itself or hidden in the sidebar. 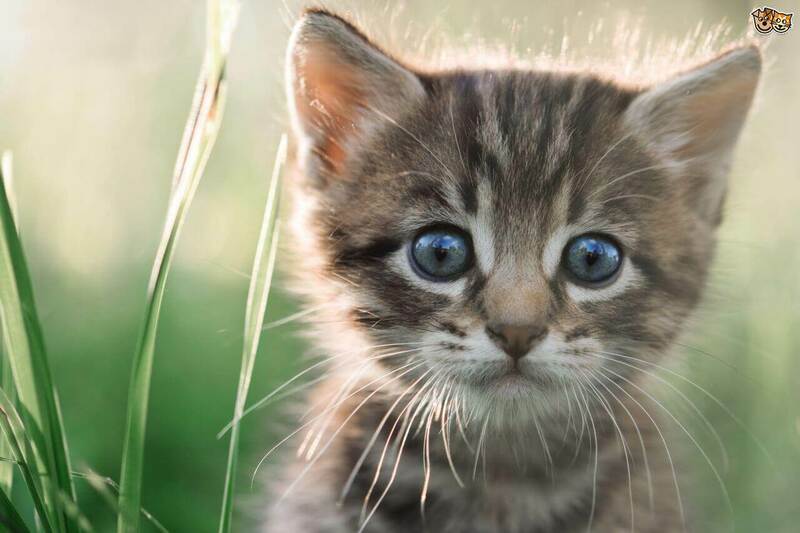 Just think about how clustered your head feels while you’re walking around your local town and all you can see is advertisements everywhere, telling you what you should be buying next. This is slowly starting to be proven to have negative effects on our mental states. While you can’t block the advertisements you see in real-life, you can control the ads you see whether you’re browsing the internet. Today, we’re going to learn about everything you need to know about ad blocker for iphone apps and your android devices. There are pros and cons to using ad blocking software. Of course, for us, using an ad blocker means that we’ll be able to enjoy a much more streamlined and pleasurable viewing experience. This stops us feeling bombarded by advertisements, so we can solely focus on the content that we’re on the website for in the first place. However, there are the downsides that many websites will get paid for the adverts they show on a paid-per-view basis. If you’re not looking at the ads, the website isn’t getting paid and ultimately, this could result in the website shutting down or going bankrupt. With this in mind, it’s been proven recently that ad blockers are not illegal, so therefore it is your choice entirely. Below your find the best ad blocker apps for android and ad blocker for iphone apps out there. By far the most popular ad blocker for android apps, Adblock Plus is an easy to install and setup application that helps you to minimise the number of ads you’re seeing on your mobile browser. There are multiple settings you can explore to create your optimal browsing experience. 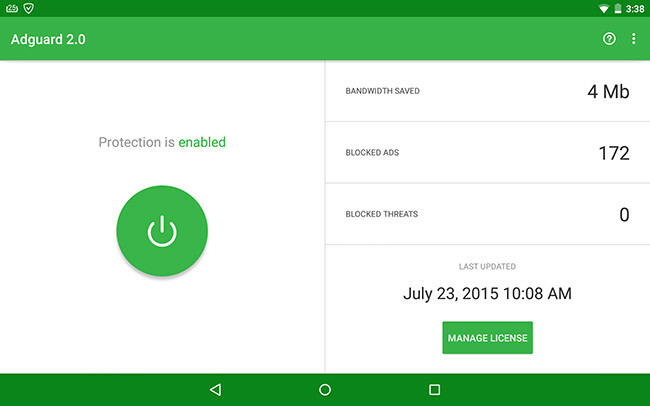 If you’re looking for a simple yet powerful ad blocker for Android apps, this is it. 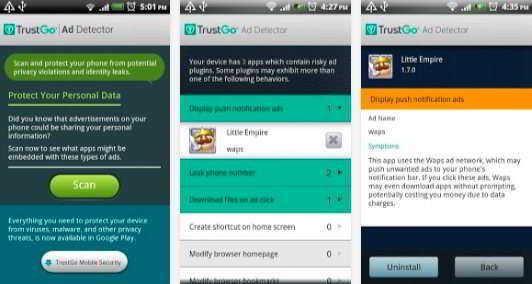 This free app is quick to install and set up and protection against ads is as simple as tapping the button. You’ll also receive data on how many ads are blocked since installation. 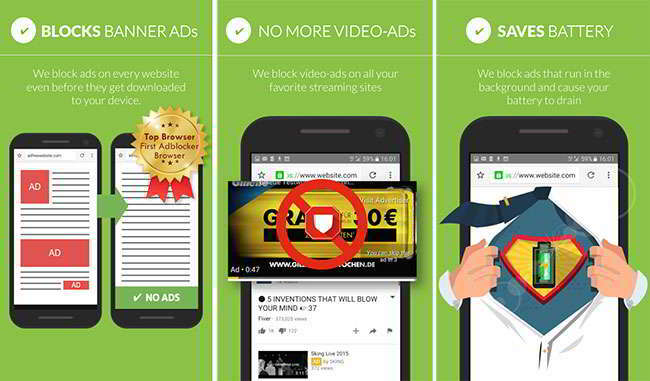 Another wildly popular ad blocking app for Android apps, this app will completely replace the browser on your Android phone or tablet, providing you with a powerful browser that grants you an ad-free web browsing experience. We all know that ads can be dangerous to our personal privacy since they include tracking cookies that can map our journey around the web. However, this app is designed to stop that happening by showing you exactly which websites you’ve visited, and which ones are tracking your information. Another powerful and comprehensive ad blocking experience, AppBrain is capable of blocking pop-up ads and fixed ads in your browser but goes one step beyond. This app is even capable of locating spam ads, and removing push notifications from your device, based on your custom settings. Based on the leading desktop ad blocking software, AdBlock is a super powerful adblock ios device software that can either allow you to use the built-in settings or customise your own experience however you want it. You can even adblock ipad devices, making this one of the best ad blocker for iphone apps there is. 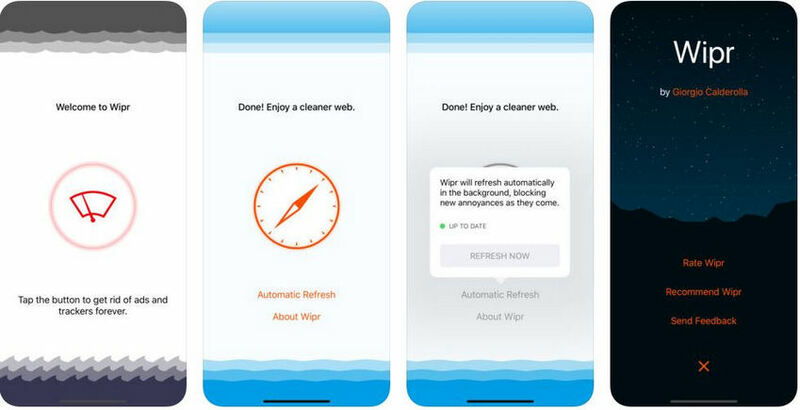 Another simple ad blocker for iphone, Wipr is an easy to use application that can block all ads and tracking requests on your device forever with just the tap of a button. Adblock iphone, adblock iPad and adblock ios devices! If you’re happy to replace the Safari browser on your iOS device, try giving Firefox Focus a go. This is a complete browser which is easily one of the most popular, and it comes with integrated ad blocking technology and plugins. This is easily one of the most effective apps to adblock iphone devices. The software even works to adblock ipad devices. Compatible and fully integrated with Safari, Purify helps you to ‘purify’ your web browsing experience by adblock iphone devices. There are many custom options you have to play with, so you can find the perfect settings for you when it comes to adblock ios devices. You can even adblock ipad devices. 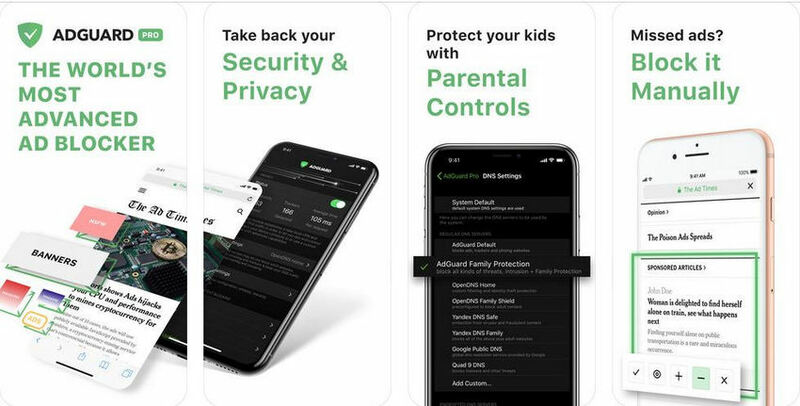 Marketing itself as one of the most advanced ad blocking platforms in the world, this is a compete web browsing application that can even help you when it comes to finding parental control features. There is a tonne of automatic features to explore and the ability to set up your own custom profiles. In addition to these ad blocking apps, there is one that stands above the rest. This is known as FamiSafe; the most powerful and complete parental control and monitoring application that’s compatible with both iOS and Android devices. While the software is unable to block apps, the software does provide you with a full range of features to help you improve the experience you have on your device, or someone in your life, such as your children, your friends, partners or employees. GPS Location Tracking - This is so you can see exactly where the device is, and therefore the owner. This means you can guarantee the owner’s safety while they are out and about. Block Apps - If you feel as though you or a loved one is using their device too much, you can be proactive by blocking the app until you’re ready. 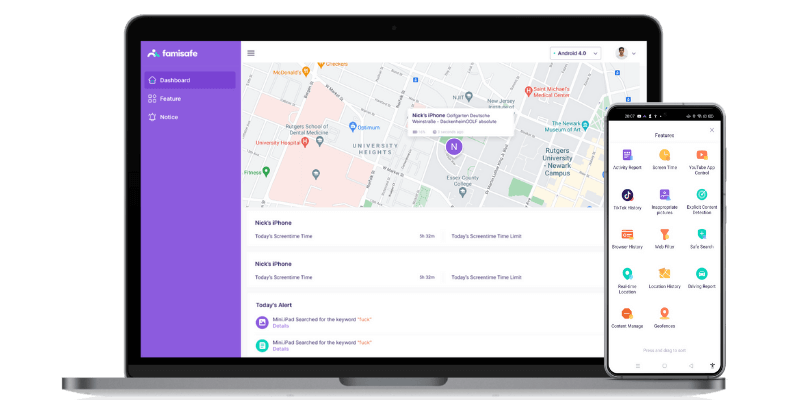 Geofencing - Using the map on your dashboard, you can set up areas where you’ll receive a notification if the device leaves that area, amplifying their safety. Block Websites - If you feel as though your children or someone you love is accessing websites they shouldn’t be going on, actively block access to them with this feature. Screen Time - When it comes to dinner time, homework time or bedtime, you can set up a custom schedule that blocks access to the device between the times that you set in place. As you can see, when it comes to blocking ads on a device, there are plenty of options available to you. However, instead of simply blocking the ads, you can use FamiSafe for a complete mobile monitoring and tracking experience. This means you’ll have full control over the experience that you or a loved one has with their device, helping you to confirm their safety while they’re out and about or using their device on the internet.